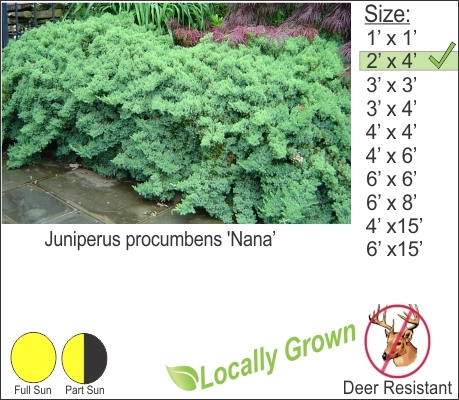 An excellent mounding evergreen shrub that is perfect for heavy grazing deer areas. Japanese Garden Juniper creates an emerald evergreen carpet in your landscape. This shrub pairs well with weeping Japanese Maples.